Don't settle for less. 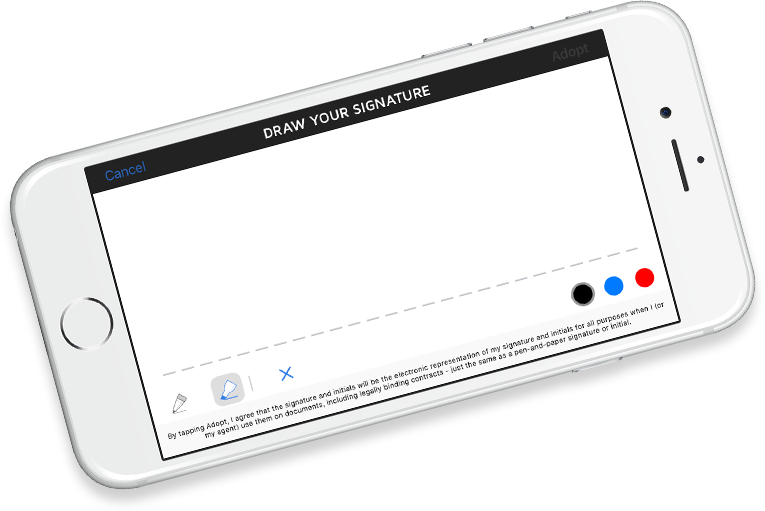 Choose the #1 eSignature brand, DocuSign. Easy to use, quick to learn and a snap to implement, approvals and agreements are simple and convenient for everyone involved. Access, sign and send important documents from your desk, on the road or everywhere in between. DocuSign works with the services, applications, and devices you already use: Microsoft, Salesforce, Google, Apple and many more. 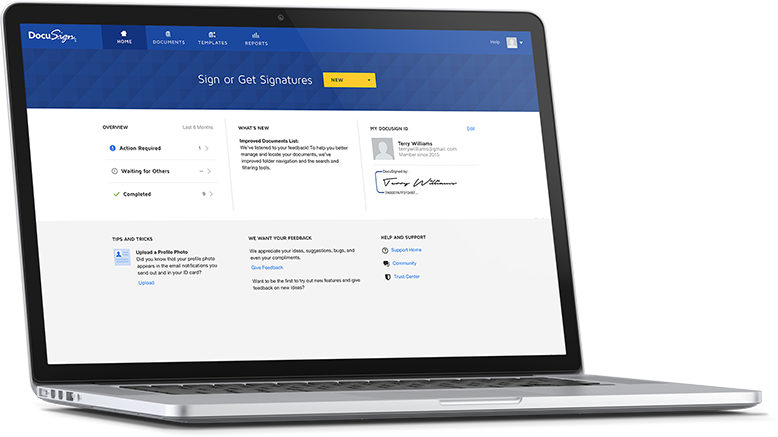 DocuSign is the most reliable and globally trusted service for electronic signatures and approvals. From school permission slips to business contracts, take charge of your digital life. Electronically sign and manage all your documents from one place so you can focus on what truly matters. Delight customers with an easier way to work together. Save valuable time and keep your business moving from anywhere. Make your business processes secure and compliant with our global and amazingly flexible service. Your employees and customers will be up and running in minutes. *Aragon Research Globe for Enterprise Mobile Management, 2016. Aragon Research does not endorse vendors, or their products or services that are referenced in its research publications, and does not advise users to select those vendors that are rated the highest. Aragon Research publications consist of the opinions of Aragon Research and Advisory Services organization and should not be construed as statements of fact. Aragon Research provides its research publications and the information contained in them "AS IS," without warranty of any kind.